Ray Parlour has praised Liverpool’s business in January – despite the club making no new signings in the transfer window. The Reds have refrained from dipping into the market thus far, with Jurgen Klopp evidently satisfied with his current options over the second half of the season. This follows a barrage of defensive injuries over the past two months that has left the German without a recognised right-back ahead of Wednesday’s clash with Leicester. 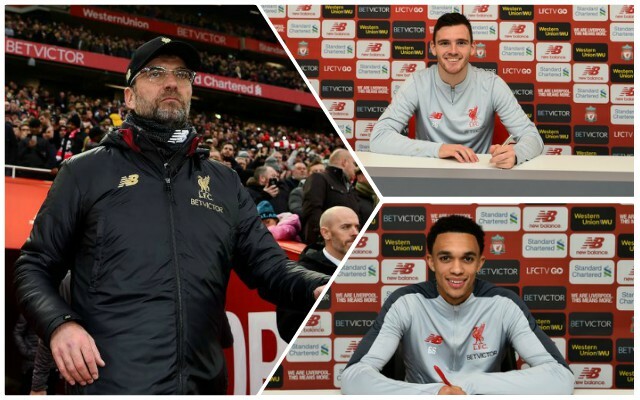 Liverpool have instead focused on retaining their prized assets by rewarding full-backs Trent Alexander-Arnold and Andrew Robertson with new long-term contracts. A decision to tie both down to extensions arrives just a month after Joe Gomez committed the next five years of his career to the club. 2018 saw Mohamed Salah, Roberto Firmino and Sadio Mane all agree new deals at the club amid their emergence as one of world football’s deadliest attacking trios. Whilst the influence of contractual commitments may have lessened in recent years, they do give Liverpool a greater power to demand eye-watering fees from any club keen on signing their top players. Combine this with the team’s upward trajectory under Klopp and the club finds itself in arguably a stronger position than ever in terms of keeping hold of its stars and consistently competing at the top.